Spec-D Tuning is a respected brand in the auto aftermarket industry. Spec-D LED Tail Lights are powered by super bright SMD CREE LED bulbs that are rated to last the life of your vehicle. All Spec-D LED Tail Lights are designed as a direct OEM replacement for the factory taillights in your import or domestic car, truck, or SUV. Look no further than Spec-D Tuning for the finest LED-powered taillights, Euro taillights, and other lighting accessories. 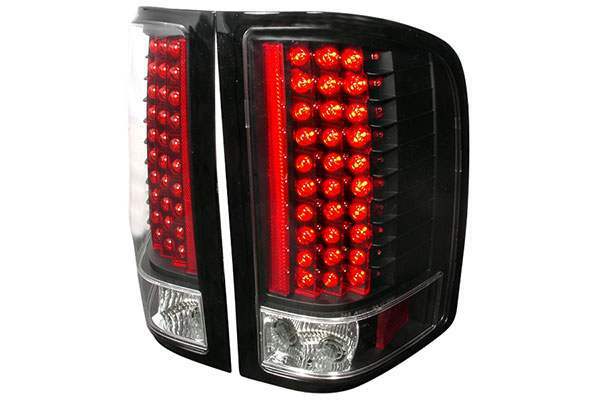 Spec-D LED Tail Lights are available for any make and model of import and domestic vehicle. Sam’s Motorsports offers the lowest prices and biggest discounts on all Spec-D Tuning lighting and accessories. Why pay more when you can save money while getting the perfect set of taillights for your car?